The Technology Association of Iowa is now accepting nominations for the 2019 Prometheus Awards, scheduled for April 11 at the Community Choice Credit Union Convention Center in Des Moines, TAI announced on Wednesday. Since its debut in 2004, the Prometheus Awards recognize Iowa leaders in the state’s $11 billion technology industry, which employs more than 88,000 workers. The 2019 event will feature several new award categories: Fintech & InsurTech Company of the Year, Creative Technology Solution of the Year, Best Technology Company Culture and Emerging Leader of the Year. The event will honor businesses in 13 total categories, including CEO of the Year and CIO/CTO/CISO of the Year. 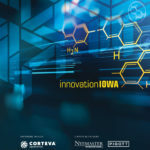 Purchase tickets or submit a nomination at www.technologyiowa.org/prometheus.